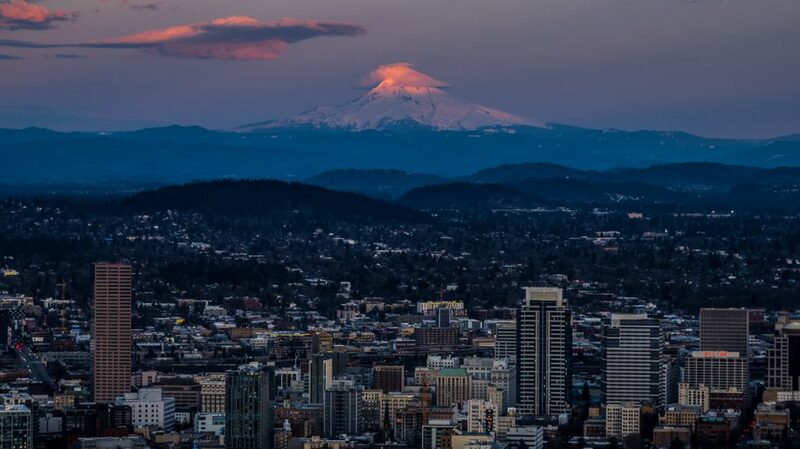 Before the moon rise, Mount Hood treated us with yet another spectacular sunset performance, its snow capped 11.250 foot summit glowing pink, with a decorative little cloud cap glowing along. Granted, from this viewpoint we were missing the spectacular foreground for the rise, the moon just came up behind some hills. 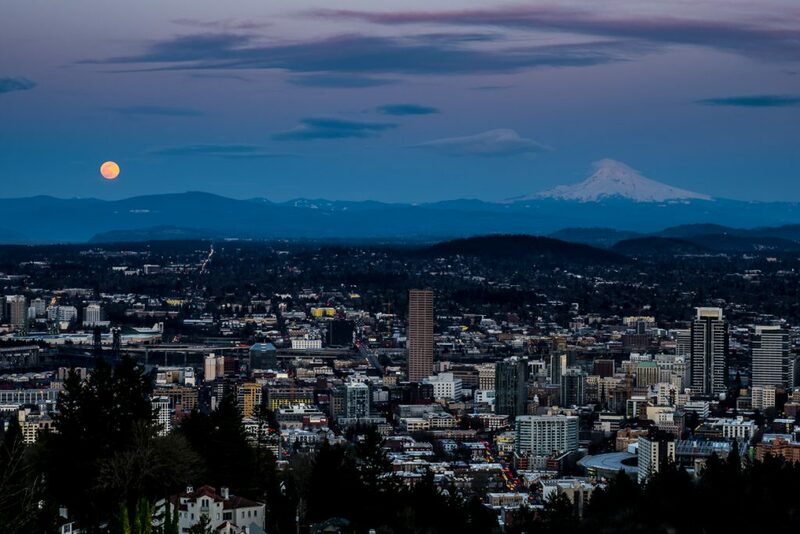 Plus, not having had this event on the radar, I only carried my 12-100 F/4 on this trip to the Rose City, but the panorama below with the Portland cityscapes, majestic Mount Hood and the Super Moon still provided for a memorable event. And sure enough, we had plenty company, with seemingly everyone bringing a tripod and the big lenses, while I shot handheld, leveraging the awesome image stabilization of the M1X and the high res capture mode. For an unprepared impromptu shooting I’m still happy with the results. At least I captured the Super Moon, while in the past I never had a camera with me when I saw it come up, mostly while driving home from the office. 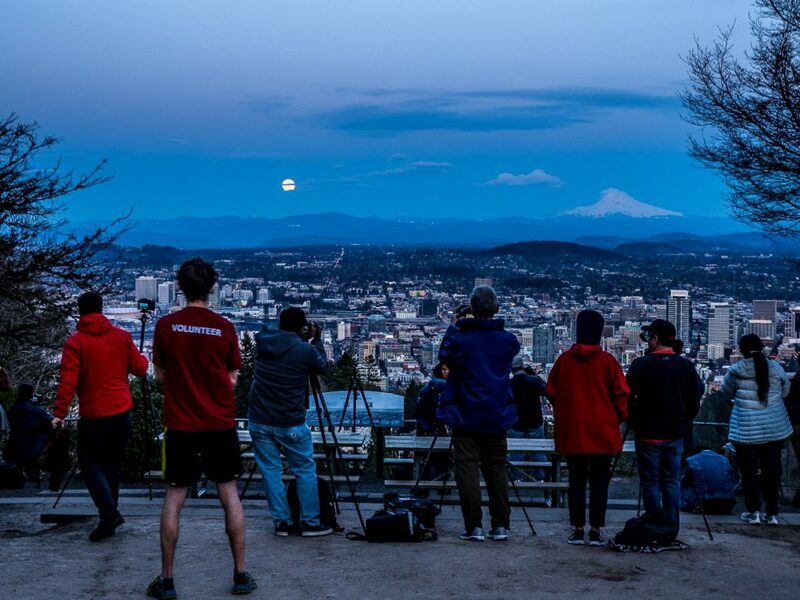 Hope you had a chance to the rise of the Super Moon yourself, if you have taken some photos please post the link to them in the comment section. I cannot believe that you shot these without a tripod. Wow! Stunning captures! The supermoon was quite impressive!! Nicely captured Marcus!! I liked them, especially the first two photos. Even though you did not use tripod it is a beautiful work. Fabulous shots of that supermoon, even handheld! The foreground was excellent. 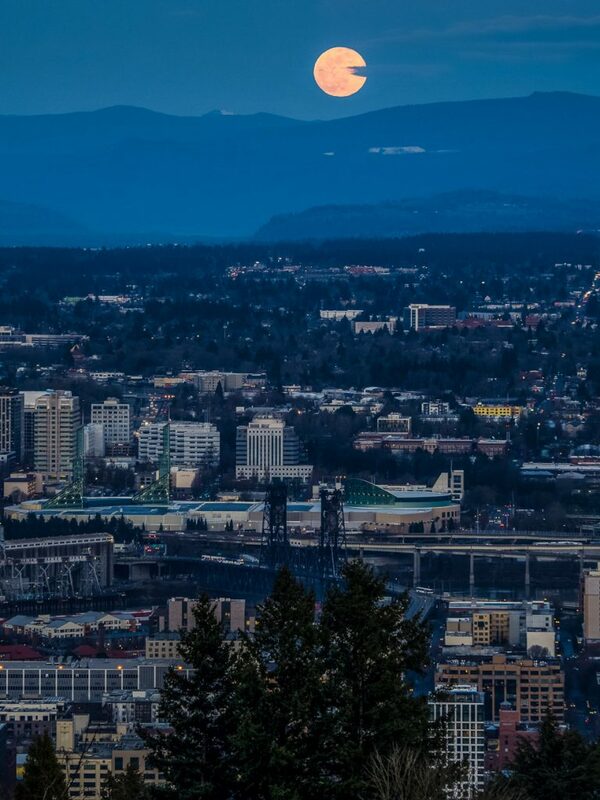 A beautiful shot of the super moon Marcus! Fabulous! we had storm clouds instead. Nice photos! Too cloudy, where I was! One of my favorite photos I’ve ever taken was at this exact spot! What a great idea to visit for the Super Moon. I like seeing the context that a wider lens gives – the city below, the people….and my favorite things to see with our mountains (we have Mt. Baker up here) is when they have one or two clouds at the top – wonderful! Sorry, no photos of the moon from me, but I did see it, and it was gorgeous. It was beautiful here, too, but I didn’t photograph it….I enjoyed your images. It’s always good to have context – the cityscape, the people with their cameras, etc. My favorite thing is when our mountains get those clouds just on top – it’s magic, isn’t it?